These institutions are the national leaders in medical research and patient care, and provide the highest level of comprehensive services. The group has been identified by National Institute on Disability Rehabilitation and Research (NIDRR). Medical rehabilitation programs and services at Mount Sinai address a wide variety of needs, from first onset of disability through long-term – even life-long – management of conditions such as spinal cord and brain injuries, stroke, amputation, chronic pain, sports injuries and other physical and cognitive challenges. Mount Sinai’s Spinal Cord Injury (SCI) unit comprises the only SCI service in NYC accredited by CARF. The Mount Sinai Rehabilitation Center is especially well prepared to work with patients who may have complex medical needs. Four beds in the SCI unit are dedicated for the rehabilitation of individuals who are ventilator-dependent. The MetroHealth Rehabilitation Institute of Ohio, a national leader in physical medicine and rehabilitation services recognized for restoring wellness after disabling disease or injury. As part of The MetroHealth System, it draws on the patient care, research, and educational resources of one of the region’s major healthcare institutions. It is a partner with the internationally acclaimed Functional Electrical Stimulation (FES) Center in collaboration with Case Western Reserve University, Louis Stokes Cleveland Veterans Affairs Medical Center and University Hospitals. This consortium continually researches the use of new technologies and innovative engineering to restore movement in paralyzed limbs to improve function and gain independence. Kessler Rehabilitation Institute, located in West Orange, NJ, provides state-of-the-art care for individuals with spinal cord injury and their families. The rehabilitation team integrates advanced treatment, proven therapies and leading-edge technologies, such as body-weight-supported treadmill training to improve gait performance, and pharmacological interventions for spasticity. Kessler also offers programs to help individuals reintegrate into daily life, such as support groups for patients and families, vocational counseling, and a Driver Rehabilitation Program to encourage greater personal independence. For more than 50 years, Ohio State has forged a tradition of excellence in physical rehabilitation by providing the highest quality care to people with disabling or debilitating injuries and conditions. 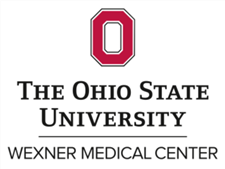 The Spinal Cord Injury Rehabilitation Program at Ohio State’s CARF accredited Wexner Medical Center offers effective treatments to help those with total or partial loss of sensation, movement or function due to spinal cord injury or disease. Their comprehensive treatment plans address the unique physical, social, psychological, emotional and economic issues that often accompany spinal cord injuries, and is home to one of seven centers that are part of the NeuroRecovery Network. Located in Philadelphia, PA, the Magee Rehabilitation Hospital, in affiliation with Thomas Jefferson University Hospital, provides quality care and programs for individuals with Spinal Cord Injury. Many of these programs provide skills crucial to returning to community living. All resources and services of Magee are available through their Life Time Follow-Up system of care. Scroll down to the bottom of the page to access the Patient-Family Teaching Manual which provides consumer information on a variety of health topics pertinent to spinal cord injury. This section also includes day in the life videos and newsletters. Craig Hospital in Englewood, CO offers state-of-the-art facilities and expert staff for the care of spinal cord injuries. Free on-campus housing units are offered to family members to encourage family support. The large number of patients with similar ages, backgrounds and injuries promotes hope through friendships and peer counseling. Click on Education & resources at the top toolbar to access interactive library resources on spinal cord injury. 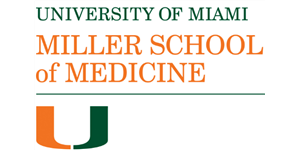 The South Florida Spinal Cord Injury Model System is operated by the University of Miami Miller School of Medicine’s Department of Rehabilitation Medicine. This CARF-accredited in-patient rehabilitation program provides a comprehensive multidisciplinary team of physiatrists, physical and occupational therapists, psychologists, rehabilitation nurses, and other rehabilitation specialists. The program is based at Jackson Memorial Hospital, a 1,500 bed Level I trauma hospital. After completion of in-patient rehabilitation, spinal cord injury patients often continue with out-patient therapy and receive life-long out-patient medical care in the program’s Spinal Cord Injury clinics. The program is actively involved in clinical research and also maintains a close relationship with the Miami Project to Cure Paralysis to ensure unique opportunities for improving health and wellness and additional opportunities to participate in research studies. The Southeastern Regional SCI Model System at Shepherd Center is the largest of the country’s 14 Model Systems of Care for spinal cord injury. Shepherd Center has formulated and tested many projects that are now part of programs offered to patients, including: vocational services, peer support groups, community outreach, an advocacy program, a spinal cord injury prevention program and the Adventure Skills Workshop. Shepherd Center is dedicated to collaborating heavily with other systems; and to establishing a line of research on quality of life, adjustment to injury, secondary complications and community reintegration issues. Rancho Los Amigos National Rehabilitation Center has over 50 years of experience providing quality care for persons with physical disabilities. It has been a pioneer in the interdisciplinary team approach to patient care. Patients are treated by highly specialized teams dedicated to specific disability categories such as spinal cord injury, brain injury, etc. This allows caregivers to develop an expertise unmatched in the Region. This level of expertise is supported by millions of dollars in grant and research monies administered by the Los Amigos Research and Education Institute, Inc. (LAREI). Founded in 1971 as the Massachusetts Rehabilitation Hospital, Spaulding-Harvard Spinal Cord Injury Model System provides comprehensive rehabilitation treatment that focuses on maximizing neurorecovry whle helping patients develop strategies for independent living. Spaulding provides a comfortable environment that supports families and patients in attaining skills required to return to their communities. 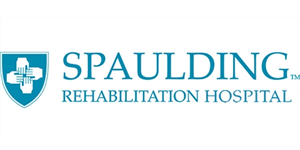 Spaulding’s mission is to: provide a full continuum of rehabilitation treatment and care, contribute new knowledge and treatment approaches through research and outcome studies, educate future rehabilitation specialists, including physicians, nurses, therapists and other allied health professionals, and advocate for persons with disabilities. a variety of consumer education material can be found in the Patient Handouts sections of the website. The TIRR (The Institute for Rehabilitation and Research) Memorial Hermann was one of the first facilities in the United States to establish a spinal cord injury center and is internationally recognized for its expertise in the management of tetraplegic spinal cord injury patients who require a ventilator for breathing, including patients who are able to wean from the ventilator. Their Spinal Cord Injury and Disability Research Center (SCIDR) was created to improve functional recovery, health and quality of life for individuals with spinal cord injury (SCI) and other physical disabilities by conducting investigator-initiated and industry-sponsored studies, and clinical trials of individuals of all ages with spinal cord injury and physical disability. Research focuses on optimizing acute and chronic care for people with spinal cord injury, facilitating active community involvement and access to care, improving quality of life and reducing the risk of secondary complications and conditions such as depression, urinary tract infections, chronic pain and cardiovascular disease. Located at the Spain Rehabilitation Center in Birmingham, AL, the UAB Spinal Cord Injury Model System offers individualized care for both adolescents and adults with an emphasis on family participation in the recovery process. Patients’ families are encouraged to attend therapy education sessions to improve continued care at home. 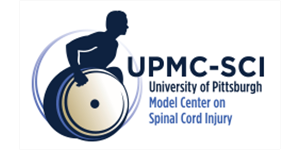 The University of Pittsburgh Medical Center (UPMC) on Spinal Cord Injury provides comprehensive team-based treatment by physicians, therapist, and vocational rehabilitation specialists. This facility is heavily involved in spinal cord injury research, with in-depth investigation on assistive technology and care and treatment of spinal cord injuries to enhance quality of life. The Center also contributes to the assessment of life-long outcomes of individuals with spinal cord injury through enrollment of participants in the National Spinal Cord Injury Database. Fact sheets to support Living with SCI are provided from the Model Systems Knowledge Translation Center as well as other scholarly and consumer publications.